Dingos are a medium-sized dog. 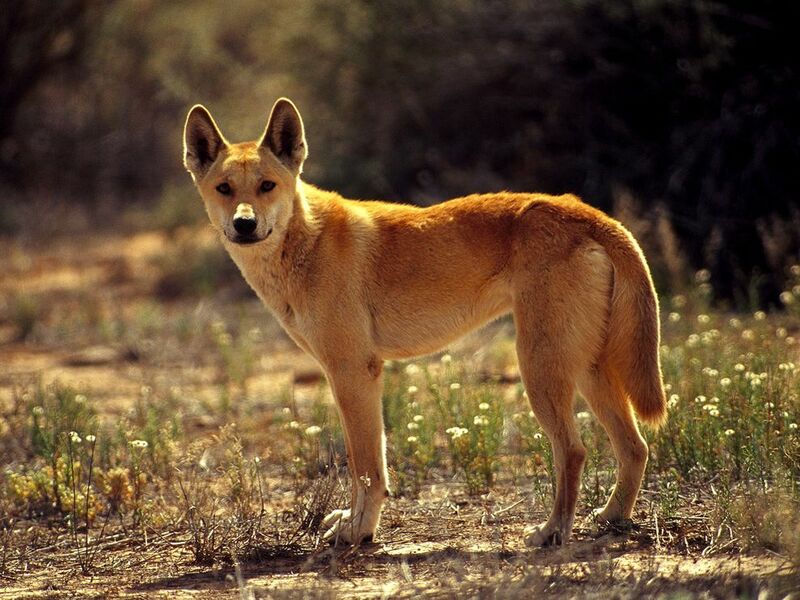 Most Dingos have short, yellowish-tan fur, but it can vary from black to cream colored. It has large ears, sharp eyes, and a keen sense of smell. Adults are about 3 ft (90 cm) long. These dogs don’t bark but they sometimes howl. These wild dogs hunt alone or in small packs. They are nocturnal (most active at night). These carnivores (meat-eaters) eat rats, kangaroos, birds, rabbits, lizards, and some farm animals. They swallow meat in large chunks.